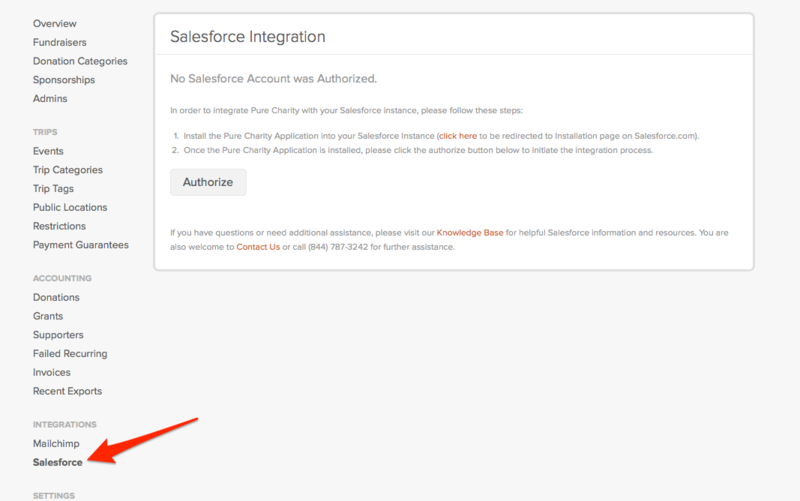 Pure Charity now provides real-time integration with Salesforce for all of your donor and campaign management needs. This allows you to focus on what really matters by eliminating the manual process for updating your records. Step 1: Starting from your nonprofit dashboard, click Salesforce. 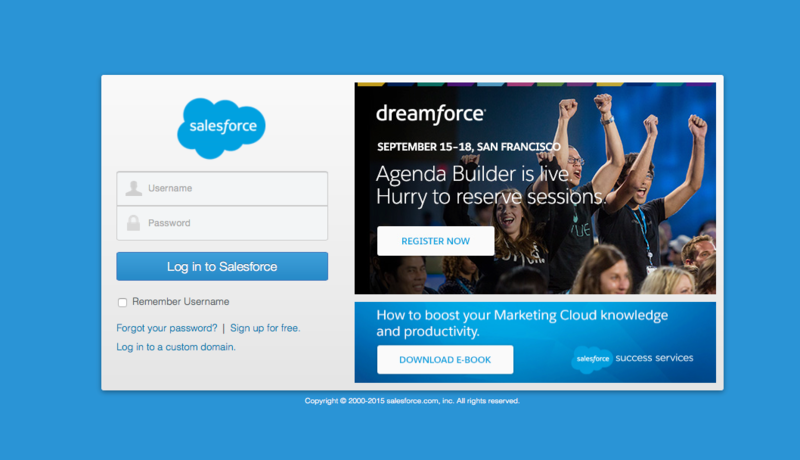 Step 2: Starting at #1, Push "Click Here" to go to the Salesforce login page. Step 3: Input your Salesforce credentials and click Log in to Salesforce. 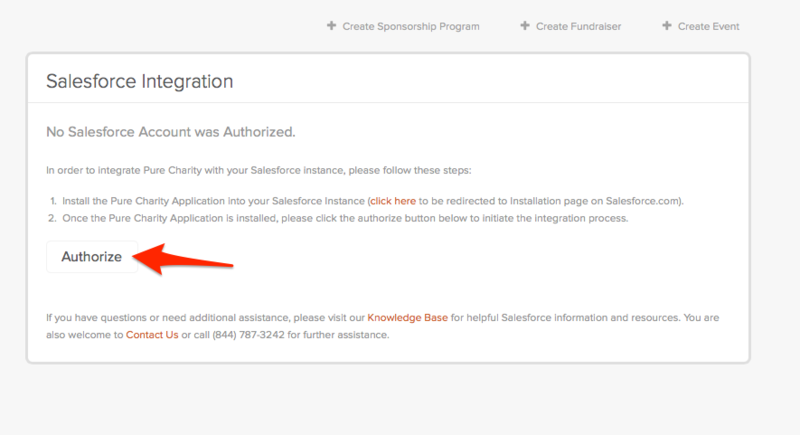 Step 4: Choose who you want to Install it for within your Salesforce, and click Upgrade. Step 5: Your App is complete! Click Done and go back to your organization's dashboard on Pure Charity. 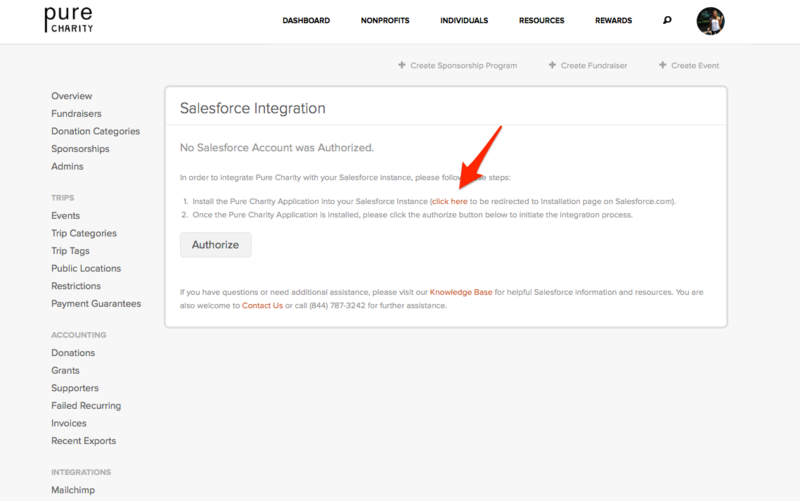 Step 6: Once you are on your organization's dashboard, click Authorize. 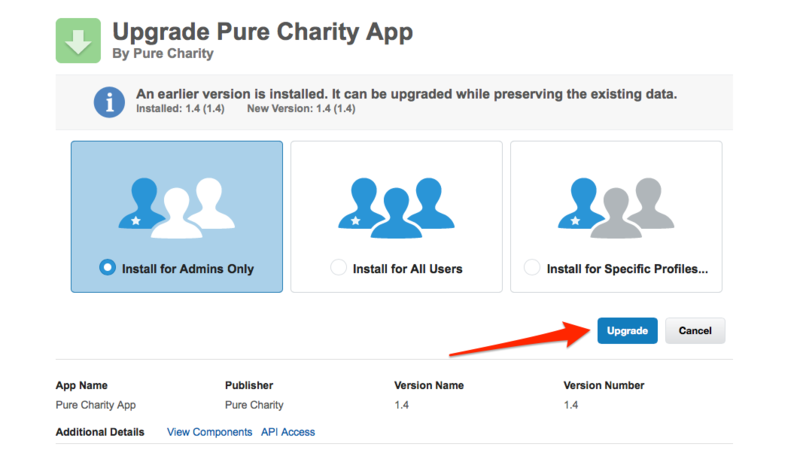 The Salesforce App is now integrated with your Pure Charity account!